Every issue contains themed wordsearches, so there is a common thread to each individual challenge. Buy a single copy or subscription to Everyday Wordsearches magazine. 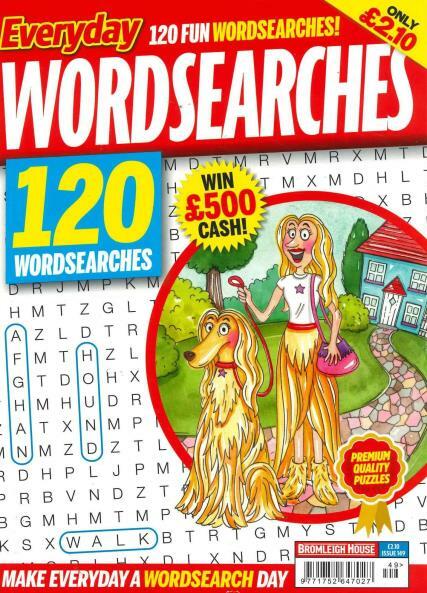 With 120 puzzles and full colour text pages it is a benchmark for quality in wordsearch magazines.